As a landlord who owns investment property in the state of Massachusetts, it is important to understand the security deposit laws you must abide by. Did you know there is a limit to the amount of security deposit you can collect from a tenant? Keep in mind that while there are statewide laws that govern the security deposit, there may also be specific rules which apply to the county or city where your rental property is located, so it is important to check your local laws as well. Yes. In Massachusetts, a landlord cannot charge a tenant for more than one month’s rent as a security deposit. In addition to requiring first month’s rent and the security deposit prior to move-in, a Massachusetts landlord may also request last month’s rent and payment for the purchase and installation of a lock and key. Last month’s rent must also be collected and stored according to Massachusetts General Law Chapter 186, Section 15b. 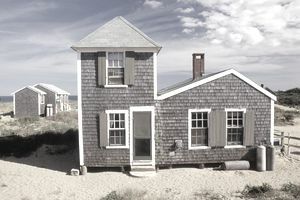 In Massachusetts, a tenant’s security deposit must be placed in a separate interest-bearing account in Massachusetts. The security deposit may not be commingled with any other funds. The landlord is required to pay the tenant the annual interest on the security deposit, using either five percent interest or the bank account’s interest rate. The account number where the security deposit is being held. Yes. A landlord must provide a tenant with three separate notices. The amount of the security deposit. The name of the person receiving the security deposit. If a landlord’s agent is the one receiving the security deposit, he or she must also include the name of the landlord. The date the security deposit was received. A description of the property being rented. The landlord or landlord’s agent must also sign the receipt. Upon receipt of the security deposit, a landlord has 10 days to provide the tenant with a separate notice indicating the condition of the property the tenant is moving into. The notice must include: After receiving this written notice, the tenant has 15 days to provide the landlord with a separate written notice with their list of the damages in the property. The landlord can either sign and agree to these damages or attach a document clearly stating their disagreement with the damages listed. Any damage that exists in the unit prior to the tenant’s move-in including any health or building code violations. The signature of the landlord or the landlord’s agent. Within 30 days of receipt of the security deposit, the landlord must notify the tenant in writing of the name and address of the bank, the interest rate, the amount deposited and the account number at which their security deposit is being held. Failure to do so entitles the tenant to the full refund of their security deposit immediately. A detailed description of any damage done to the unit. If the damages have been repaired. If repaired, the date of the repairs, the cost of the repair and copies of any receipts associated with the repair must also be kept. Copies of any other notices given to the tenant including security deposit receipt and statement of condition. The landlord must provide the tenant access to this security deposit record upon request during normal business hours. Failure to do so can result in the tenant being returned the full amount of security deposit plus any interest owed. The landlord is required to keep this list for two years after the tenancy is terminated. Any unpaid real estate taxes that the tenant was obligated to pay. Damage in excess of normal wear and tear. The security deposit, less any deductions, must be returned to the tenant 30 days after the end of the tenancy. If any deductions have been made, the landlord must provide the tenant with an itemized list of deductions including nature of the damage, cost to repair the damage and any associated receipts. In the event that the property is sold, or ownership is transferred in some other way, the landlord is responsible for transferring the security deposit plus any interest to the new owner. The new owner is then responsible for notifying the tenant, within 45 days of the transfer, that they are now responsible for the security deposit, including their name, business address, and telephone number. If you are interested in viewing the original text of the law governing security deposits in Massachusetts, please consult Massachusetts General Law Chapter 186, Section 15b. See #6 of Section 15b for the consequences if you fail to adhere to any part of this security deposit law.